На этой странице Вы можете скачать компоненты первого (классического) издания учебно-методического комплекса английского языка для взрослых - Cutting Edge 2001 года. Cutting Edge это шестиуровневый (от начинающего до уровня компетентного пользователя) курс английского языка. This course translates the theory of task-based learning into a practical and user-friendly coursEbook, recognizing that the performance of regular spoken and written tasks is crucial to successful language acquisition. Consolidates and extends essential language covered in the Students' Book. - Improve your writing' and 'Listen and read' sections systematically develop skills. - Pronunciation and spelling sections improve student confidence in typical problem areas. 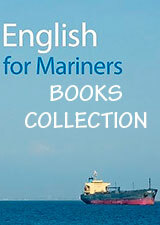 - Accompanied by an optional Student Cassette/Audio CD with exercises on pronunciation and grammar. Cutting Edge Workbook consolidates and extends essential language covered in the Students' Book. Optional cassette to use with the Workbook, featuring exercises on grammar and pronunciation. The Teacher's Resource Book provides teachers with all the support they need to use the course successfully in a variety of teaching situations: Step-by-step teacher's notes with suggestions for alternative procedures and extension activities; Teacher's Tips section with practical ideas on teaching vocabulary and grammar, using the speaking tasks and the Mini-dictionary; Photocopiable Resource Bank includes learner training worksheets, communicative activities and progress tests. The Cutting Edge Video gives students a wealth of information about aspects of modern life, providing them with a rich source of authentic, real-life material. If you are using the Cutting Edge course, each video unit is designed to be used once students reach the consolidation sections in the corresponding students' book.